San Juan Municipality Head Start centers are the recipients of a Rotary grant providing Souns materials to 127 classrooms. The training began Thursday, May 3, with training for 11 classrooms in two centers. We will train again in June and continue reaching the classrooms in August. What promising tomorrows for these children. The Souns training experience was as always with young children – smiling faces, little hands exploring symbols, enthusiasm that confirms a young child’s inimitable drive to learn. Give the tools of print – letter-sound associations – to a child and he/she will build literacy – naturally! Within the hour these 5 year olds in the photo were writing with the symbols by listening (analyzing) the sounds they were saying. Pretty amazing program! Pretty fantastic kids! Futures in the making. Thank you Rotary Districts 7000, 6990, 6900, and The Rotary Foundation. 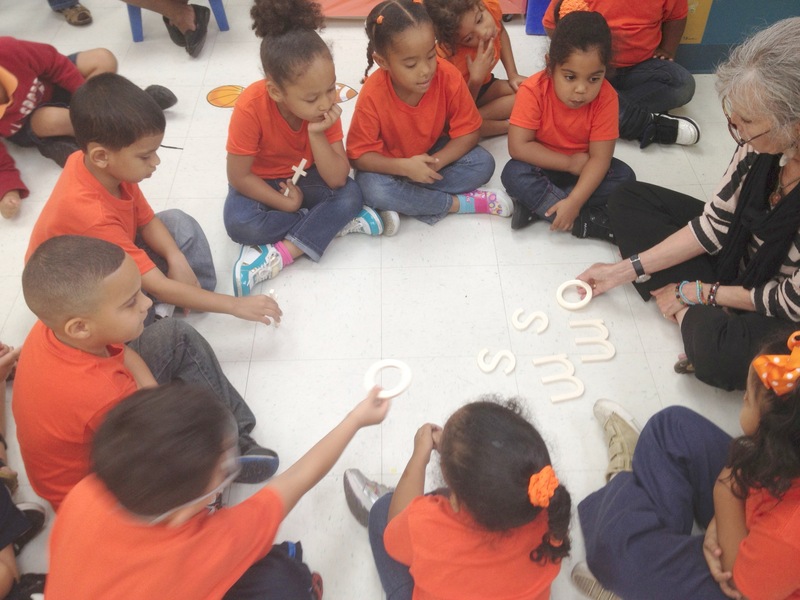 This grant addresses a plea from a child advocate in Puerto Rico to help 4000 disadvantaged children between 3 to 5 years of age build fundamental literacy skills in San Juan. Head Start is a preschool program for children from economically challenged families. The majority of the children enter Head Start with less developed literacy skills than those of most children the same age. The toll is high. According to a May 2011 issue of Caribbean Business, among the island’s population living under the poverty level, 62% did not complete high school. History confirms high school graduation and literacy skills go hand in hand. ← SounsAfrica – Go Rotary Club of Knysna!